Allergies in children are a major cause of child health concern. Besides genetics, rising stress in mothers and children is an important contributing factor. 50 percent of children suffer from one or other form of allergic reaction during their childhood. 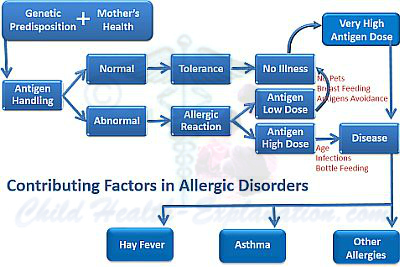 Allergies present with wide variety of symptoms ranging for mild annoyance to grave life threats. Evolution of allergic reaction is triggered by exposure to allergens. Some allergic reactions are short lived, but many of them lead to chronic suffering that affects the quality of life of the affected. 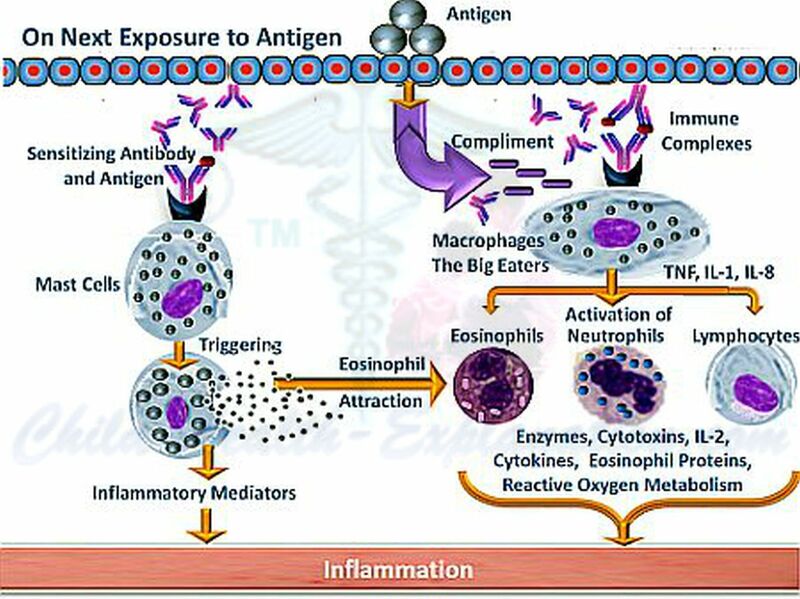 Allergies influence several organ systems through a single mechanism of disturbed immune response. Understanding the mechanism of development of allergies is crucial. It helps parents and child care providers to detect the symptoms early enough for optimal treatment. It also helps to identiy and avoid the allergens. 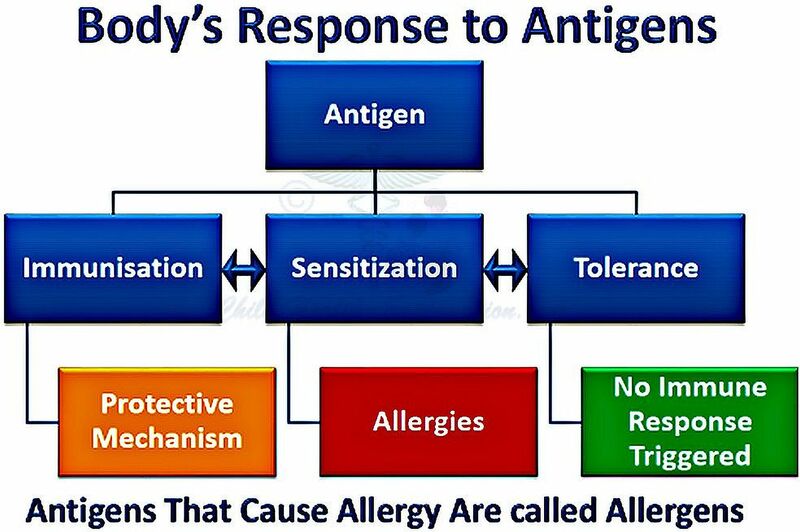 Antigens that cause allergy are called allergens. They are tiny substances and often microscopic; for example bacteria, molds, dust mites, toxins, pollen, animal dander, food proteins, ambient air pollution and so on. 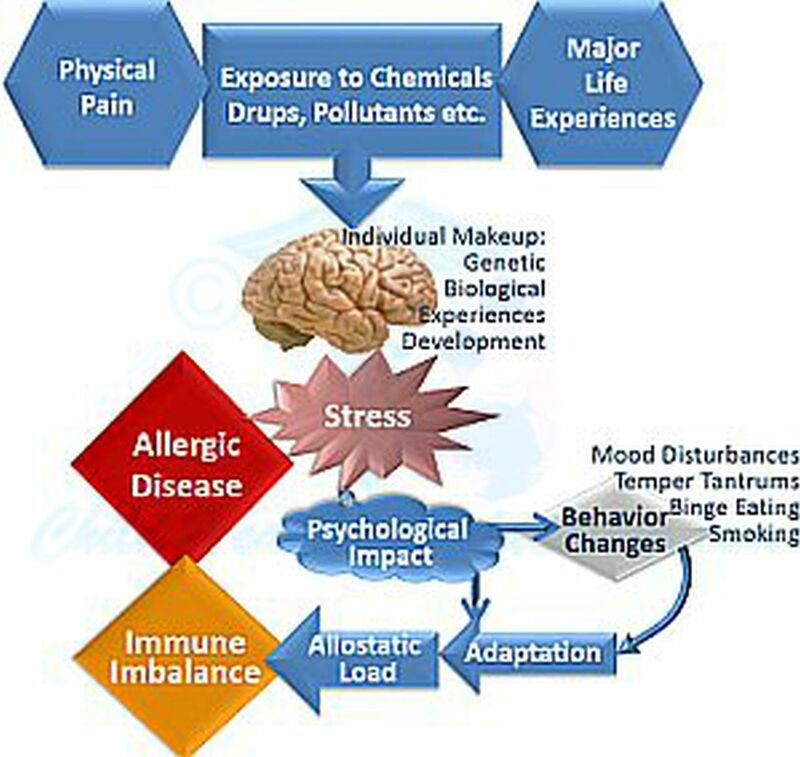 Though we all are exposed to environmental allergens all the time, only a few get sensitized to some of the allergens. Consequently they experience unpleasant sensation and reactions, which are termed as allergic reactions. Allergies can affect many organs at a time; for example asthma patients also suffer from allergic inflammation of the inner delicate membrane of the nose, and conjunctivitis (red-eye). Why some people’s defense system over reacts to commonly existing antigens in the environment is explained by their genetic makeup. Disturbed immune response, that have familial predisposition are classified as atopic disorders. 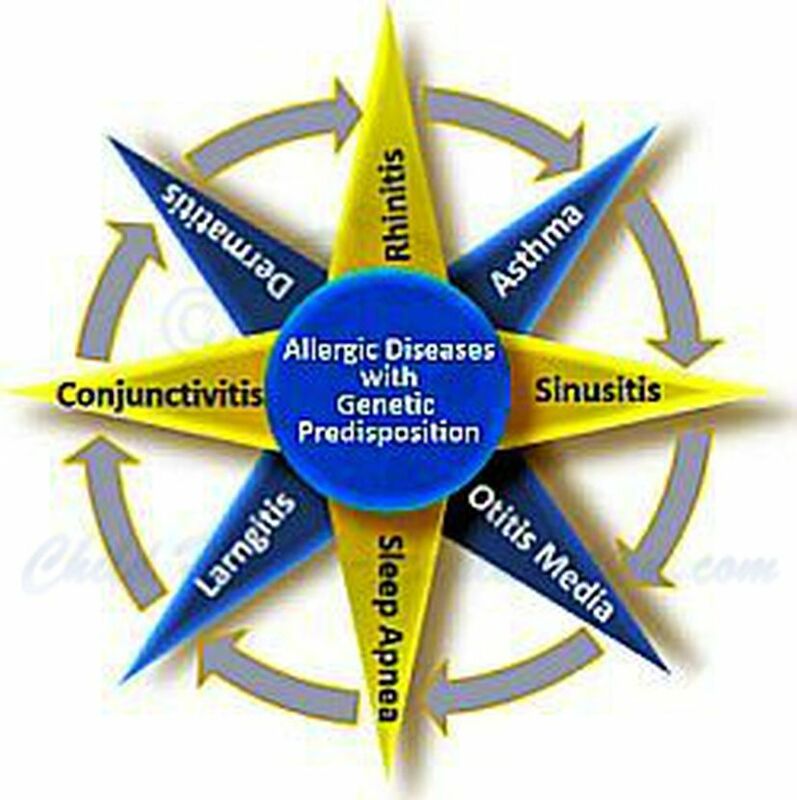 Common known allergic diseases that have genetic predisposition are asthma, rhinitis, rhinosinusitis, reactive middle ear inflammation - otitis media, sleep apnea, laryngo-pharyngitis, conjunctivitis, several form of skin eruptions and atopic dermatitis. Independent of genetic predisposition, functional programming of the fetal organs is influenced by intrauterine environment. 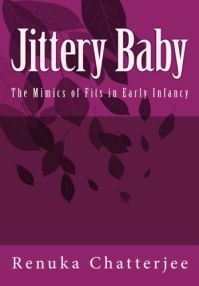 Maternal stress leads to high levels of intrauterine stress hormones of both, the baby and the mother. This disturbs the defense system development of the fetus; at a stage when it is being programmed. Children of all ages experience stress in event of real or perceived difficulties: Daily experiences with parents, peers, siblings and significant others in their environment. Stressful situations could be sporadic or long lasting. Brain senses the stress and induces adaptation, which is seen as behavior changes. Allostatic load, activation of neural, neuroendocrine and neuroendocrine-immune mechanisms in response to conscious and subconscious adaptation to stress, impairs immune response regulatory mechanism, and increases the chances of allergic disease. Friendly gut flora with their probiotic effect optimize immune regulatory mechanism of the body. Allergies in children are more common in affluent society who implement strict hygiene. Probiotics have been proved to be beneficial in treatment of allergic diseases. 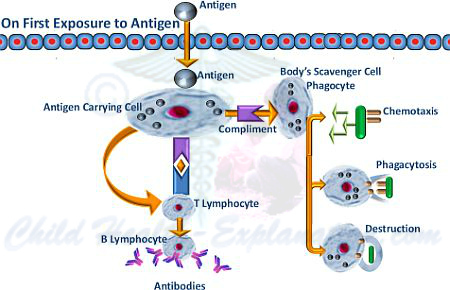 Immune reaction is a sequence of events involving interaction between many types of cells, antibodies and complement as shown below. Many common diseases can mimic allergies in children, and vice versa. This often makes the diagnosis difficult. Parents and other well wishers try several over the counter medications and home remedies thereby delaying appropriate medical management. Allergy test now can quite accurately ascertain the causative allergens, which then need to be avoided. Prevention of allergic episodes is the first and the best approach in treatment of allergies in children. Does allergen avoidance really work? If children with allergic predisposition are not exposed to substances that annoy their defense system there will be no aggression; and remember that the battle ground is our children’s body. No exposure to offending allergens - No allergic reaction!!! Note the illustrations for evolution of allergies in children.